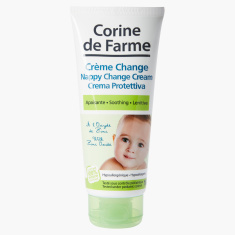 Corine de Farme Nappy Change Cream - 100 ml | Multicolour | Prevent from skin irritation is perfect to keep the baby's skin soft and to protects baby's skin of the bottom from birth. 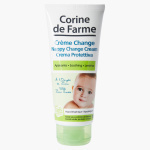 Prevent your baby's skin from irritation and rashes by getting this nappy cream. The cream is anti-allergic and completely organic making it safe for your little one. Feature 1 : Prevent from skin irritation is perfect to keep the baby's skin soft and to protects baby's skin of the bottom from birth.